Ever wanted to look and perform like a superhero? I present to you: Will Shewfelt. This 23 year old is sweeping the health scene with his wisdom and radical diet. Once a vegan, he has now ditched the vegetables in the pursuit of a thriving body. 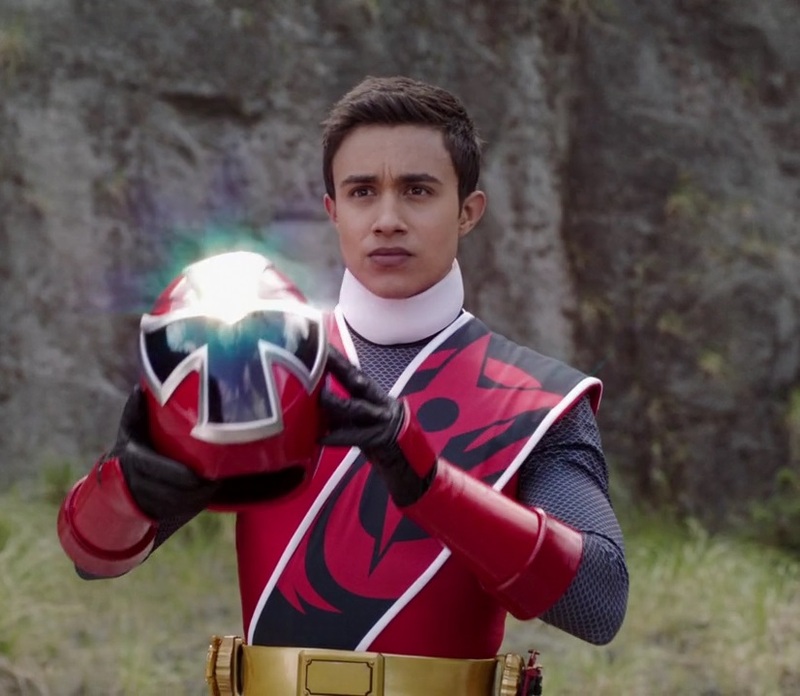 Will is not only a health-wizz, making the rounds of all the top keto and health podcasts and speaking at prominent events- but he is also an actor and plays the Red Power Ranger on Nickelodeon’s TV show, Power Rangers: Ninja Steel. Today's Q&A highlights how Will's keto carnivore (all animal) diet and goal setting has transformed his health and his life. Coffee+espresso. I’ll usually end up eating my first meal at around noon, after working out. Daily self-education through reading, podcasts, audiobooks, Youtube videos, documentaries, etc. It really depends on what I’m interested in at the time. Oh man…there are so many. But I would probably say The 7 Habits of Highly Effective People. If you think this is just a self help, productivity book—think again. It absolutely changed a lot of my fundamental beliefs, behaviors, and character traits. A close second would be The Traveler’s Gift for similar reasons. It’s all about character. By doing something that makes me nervous. Works every time. If I had to choose one…my mother. One of the strongest people I know in the face of adversity. She had a very difficult life but summoned amazing strength to live a good life and raise us well. I can’t thank her enough. Hmm…probably coffee. I see a recurring theme here. 9. what is something you cant live without? Some artwork, a Bible, and a Himalayan pink salt rock lamp. 1. You used to be a vegan! Talk to us about your transformation from vegan to carnivore. Before my transition to becoming vegan, I was basically plagued with a host of health issues including fatigue, really bad acne, difficulty focusing, constant hunger, weight gain, and stuff like that. I read a book by Jack Lalanne which got me into healthier eating and eventually I transitioned into a whole foods, plant based vegan diet for four years. I experimented with many version of the diet, forms of supplementation, but no matter what I tried, a few things remained constant: I was always bloated, hungry, and I had trouble focusing. Two years ago I began a ketogenic diet with fantastic results, and then for the past year I have followed a highly carnivorous diet with even better results. The main difference for with keto vs. carnivore is I’m leaner, stronger, and more focused than before. 2. What does a general day or carnivorous eating look like for you? My diet is focused on red meat, eggs, and some form of liver—whether in supplement form or actual cooked liver. I also eat poultry, bacon, some cheese and occasional low sugar fruit. I also sometimes supplement with cod liver oil and magnesium. So it’s definitely not the steak and water diet. I prefer some dietary diversity, but it’s highly carnivorous. 3. Do you have any reservations about the carnivore diet before you tried it? How did they change (or not) as you experience the diet for yourself? Absolutely I did, mainly in regards to potassium and magnesium. As I tried it and continued to research, it just became abundantly clear to me that as long as I was eating high quality red meat, eggs, liver, and a few other foods—I would be fine. I do still believe in some magnesium supplementation. 4. Do you track anything? (ketones, blood sugar, macros, etc) Why or why not? I don’t track anything at all. I did lots of tracking early on like macros, ketones, calories, weight, fasting windows, meal timing, etc but I view tracking like riding a bike with training wheels. It helps early on to learn what works best for you, or if you’re managing a condition or have a specific goal—but ultimately you have to create a lifestyle. For me, I’ve done enough tracking and experimentation to be able to intuitively listen to my body and go from there. Tracking can lead to an unhealthy, obsessive mentality which creates problems down the road. 5. What are your thoughts on protein vs. fat ratio on carnivore, do you make any effort to eat higher protein or higher fat? I absolutely make an effort to prioritize protein and then consume fat depending on my appetite and activity levels. Dr. Ted Naiman, Georgia Ede, Amy Berger and many others have put out excellent information on why higher protein should be preferred, doesn’t negatively impact ketosis, positively impacts satiety and weight loss, and supplies critical micronutrients. So my diet is generally high protein (150-200g), high fat (~150g), and very low carb (<10g). This is based on my body and activity levels! Don’t simply take this format and start following it mindlessly. Use it to inform your own decisions. 6. What advice do you have for someone who is curious about the carnivore diet lifestyle? Some general tips would be to consume lots of red meat, eggs, some form of liver, lots of high quality salt (Celtic or Himalayan), and eat when hungry—fast when not hungry. 7. What does your training routine look like at the moment, and how did carnivore impact your training? Currently I do 45-60 minutes of zone 2 cardio daily (running, biking, stairclimber, rowing, jump rope) and I lift weights 3 times a week. My weight training sessions are generally a combination of compound lifts, calisthenics, and some isolation work. Red meat is the poor man’s steroids. It seriously is that anabolic. I’ve become so much stronger, faster, more athletic, better endurance—and on and on since I went carnivore. Not to mention I’m leaner than I’ve ever been. I usually hover at about 5-8% body fat, year round without counting calories. I think the key is ultimately eating high protein, specifically red meat and eggs as well as consuming lots of salt. Also, I usually train fasted in the mornings. I generally eat 1-2 meals a day. 8. You we’re doing a weekly “cheat” day to enjoy life with your girlfriend; how important is it to balance the quest for health and also live your life? Do you think you’ve found that balance? I’ve absolutely found that balance! I don’t necessarily plan out a cheat day, but every one or two weeks, Chelsea and I will go out to dinner and eat whatever we want. Sometimes we stay home and order a pizza. I do this not because it’s healthy, but because it’s fun and it fits into my lifestyle and doesn’t hinder any of my goals. If I had a specific health condition, lots of weight to lose, a food allergy, or a food addiction, I probably wouldn’t do a cheat day. Also, I recommend not doing cheat days when you’re starting carnivore for the first three months. It actually makes adherence much easier. 9. How do you stay dedicated to your goals? What advice do you have for someone who is looking to transform their life for the better? -Write down your dreams. The things that you must do before you die. -Write down 3-5 yearly goals that you badly want and would love to accomplish this year. -Write down 7-10 goals for this week and month that will take you in that direction. Don’t plan every step. Don’t plan for three months from now. Just focus on what you can do this week and month. -Tonight, write down 5-10 goals for tomorrow. Schedule the most important ones at the start of your day so they get done. Let the other ones fall into your day naturally—when you have time. Try to get them all done, but focus on the most important ones. -Then just work on your daily goals every day and watch your dreams come to life. If you follow this system, over time you will make massive progress towards creating the life of your dreams. But remember, all of this means nothing if you’re not living a life of character. It’s nice to be important, but it’s more important to be nice.